The classical selections are specially arranged for a combination of instruments (cello, english horn, oboe, and piano). Sometimes these orchestrations are solo, other times in duo or trio. 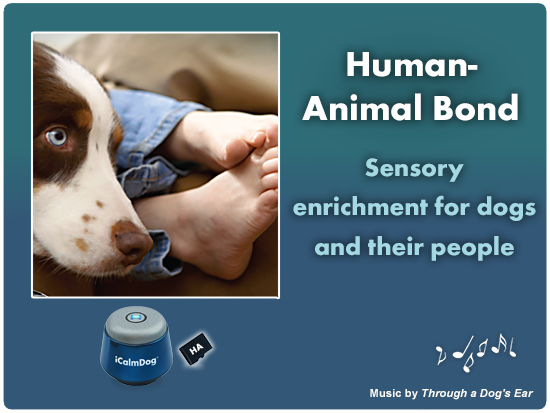 This rich tapestry of sound facilitates a state of awakened awareness in people – leading to creativity and/or productivity – while simultaneously providing a canine relaxation response in your dog. 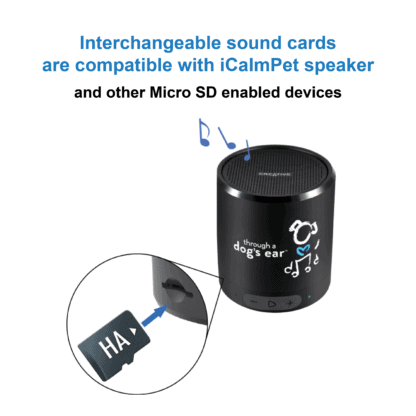 Herein, sophisticated sound therapy meets canine behavioral training. 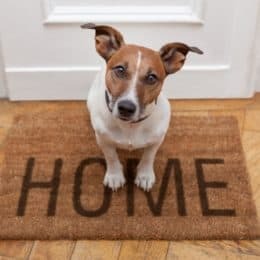 The soothing soundtracks include oboe, english horn, cello and piano music designed for people to enjoy while their pups settle peacefully nearby. 2.0, 2.0a, 2.0b, 3.0. 3.0s, 4.0, 5.0m, 5.0. NOTE: Music for the Human-Animal Bond includes the same soundtracks previously found on the CD, Music for the Canine Household. With Music for the Human-Animal Bond, sound researcher Joshua Leeds and I have created soundtracks for dogs hanging out with their people, in their space together. We often joke that we are going through the doggie door to get to the humans in pet households. We want to create as healthy a space for our animals as we possibly can. 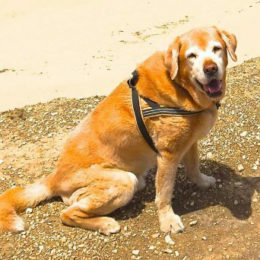 This includes a well-considered sonic environment where unnatural sounds are diminished and where the soundscape takes into account the nervous system of the dog, as well as the human. This recording is best used when there are no anxiety issues present or expected in your dog. If there are stressful situations taking place (such as sound phobias, separation anxiety, excitement with visitors, or post- surgical recovery) we highly recommend that you play the Calm Your Canine Micro sound card that comes with iCalmDog 5.0m or any of the specific training programs. 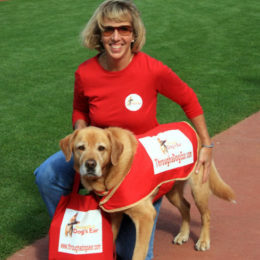 In that situation, Human-Animal Bond may be too active for a highly sensitive dog. Our 10-yr old rescue labradoodle and 6-yr old black lab fall asleep to the Human-Animal Bond music. It’s wonderful! 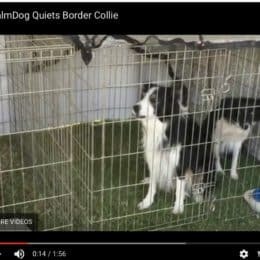 We are working on the sound phobias, which is taking a little longer due to extreme anxiety but with the great behavioral tips and music we are seeing positive improvements with both dogs! We just added an 8-week old puppy to the household mix which we are fostering. 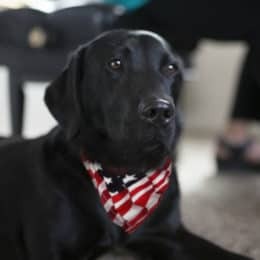 She will be a Service Dog for a veteran. 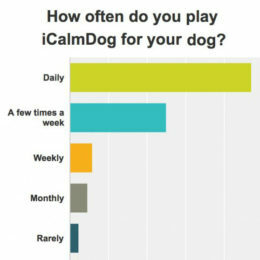 We are so impressed with the success of the iCalm music for our dogs that we have ordered iCalm Puppy music. Thank you “Through a Dog’s Ear”!